Part 9 in a series on Dallas history. 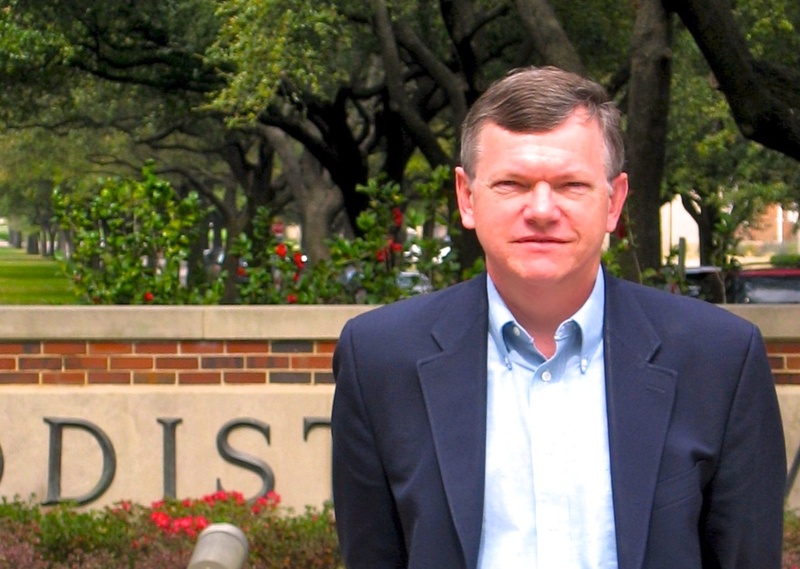 While infrastructures for transportation and communication were developing in the Dallas area in the early years before the Civil War, some cultural infrastructures were also growing. 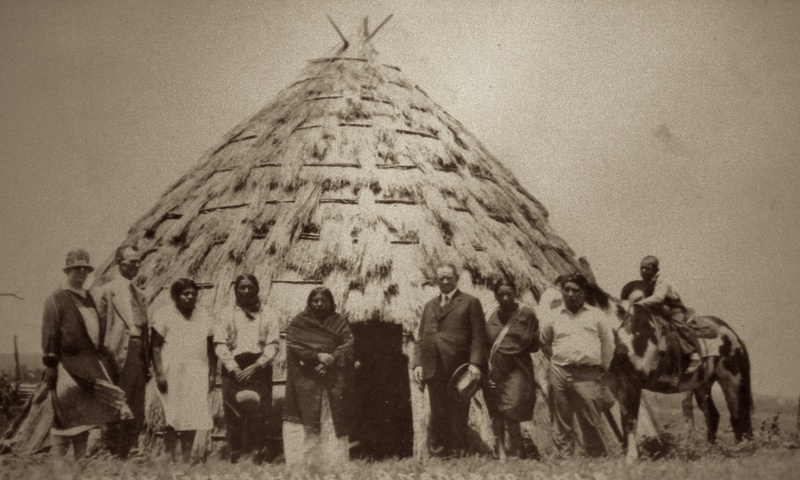 Early settlers to the Dallas area brought with them the cultures of the southwestern frontier of the United States, organizing schools, Christian congregations, and Masonic groups in these early years. The earliest schools in the area were typically held in settlers’ homes, though the Duck Creek community had a separate school building from the 1840s and by the 1850s other communities had buildings dedicated for use as schools. Cumberland Presbyterians established a school in the 1850s that later became the Cumberland Hill School in Dallas. The dispersal of settlers from the Réunion community in the late 1850s brought a very different kind of teachers into the Dallas area, some who had specialties in languages, music, and botany. 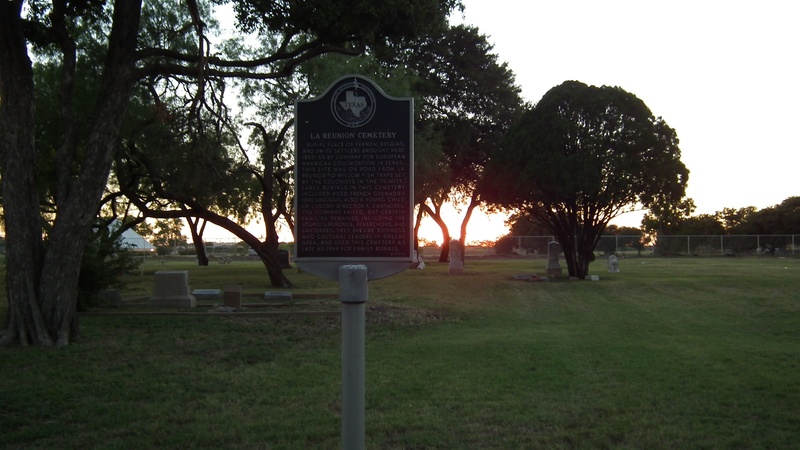 The Webb Chapel Cemetery on Webb Chapel Road, just north of the LBJ Freeway, has the graves of many early Farmers Branch settlers. Part 8 in a series on Dallas history. Texas statehood propelled the movement of settlers to the area. Early settlers to the Dallas area tended to come by way of Arkansas and the Oklahoma territory rather than Louisiana. That may seem counter-intuitive, but southerly routes had to cross multiple wide rivers, bayous, creeks, and marshes, and there were no bridges over major streams. The first bridge over the Mississippi River was not built until 1855, and that was at Minneapolis, far to the north. St. Louis would not have a bridge until 1874. The northerly routes had fewer and smaller streams to ford or to cross by ferry boats. Even settlers from southern states like Tennessee and Kentucky came to northern Texas by way of Missouri and Arkansas. 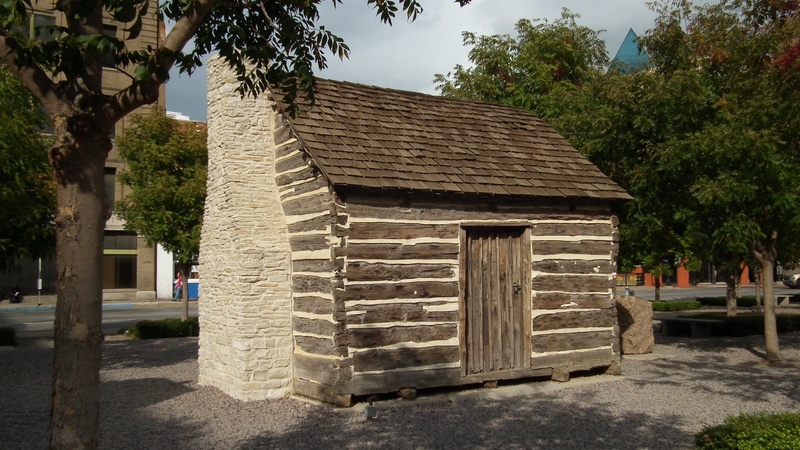 This had an important effect on the settlement of northern Texas and perhaps the continuing culture of Dallas: relatively few of the early settlers came directly from the deep South. The 1850 federal census of Dallas County showed that of 435 families, the largest groups of settlers had been born in Tennessee, Virginia, Kentucky, Illinois, North Carolina, Ohio, Missouri, and Iowa. The La Réunion Cemetery on Fishtrap Road in West Dallas. Part 5 in a series on Dallas history. During the ten-year existence of the Republic of Texas (1836-1846), Euro-American and African-American people came to settle in the Dallas area. More came after Texas became a state of the USA in 1845-1846. The movement of English-speaking peoples to this area started with an attempt to build a road. Post 4 in a series on Dallas history. 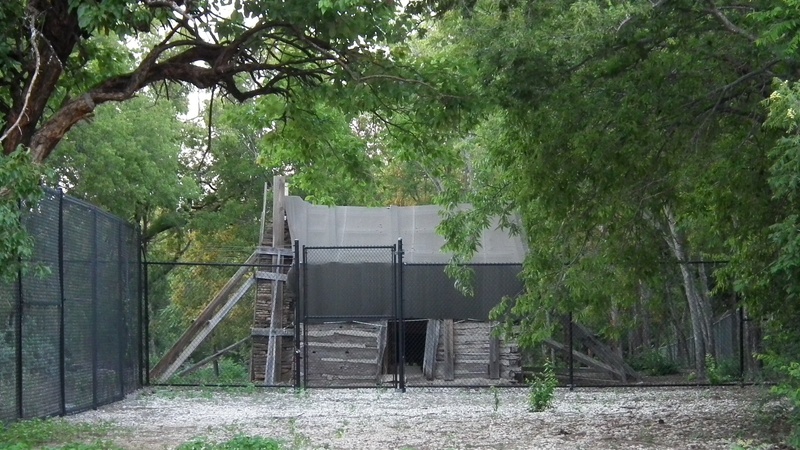 There area a few areas in Dallas County that have preserved native habitats. The Harry S. Moss Park has a section of native prairie vegetation (at the corner of Arborside Drive and Royal Lane). The grounds of the Frankford church and cemetery also have native grasses such as buffalo grass (at the south end of Muirfield Drive, adjacent to the Church of the Holy Communion). 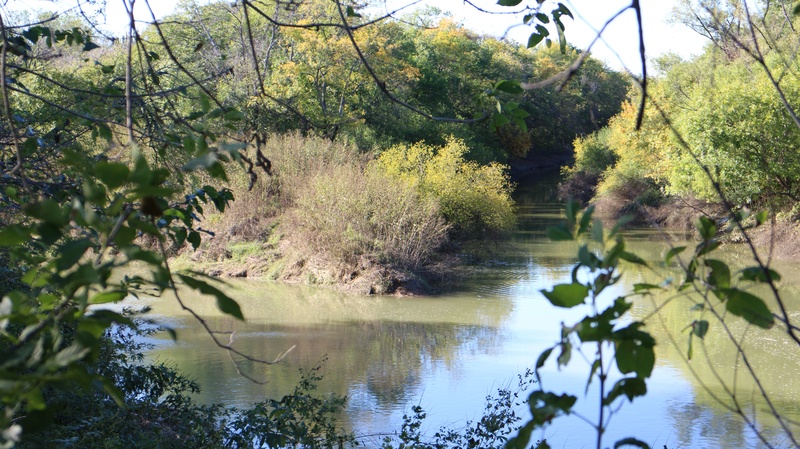 The Trinity Audubon Center has interpretive exhibits and an extensive area of river bottomlands available for hiking (6500 Great Trinity Forest Way; formerly 6500 S. Loop 12). Post 3 in a series on Dallas history. The Empire of Spain claimed vast lands in the Americas and incorporated these lands into the Viceroyalty of New Spain, formally created in 1521. Texas was claimed as a province of New Spain from that time. But although a few Spanish explorers may have crossed this area or close by, Spanish activities in Texas were concentrated along the coast and in the area from San Antonio south into Mexico. The creation of the viceroyalty had little effect here. This area continued for two and half centuries to be a province of bison and deer and bears and snakes and bugs and birds and prairie peoples. 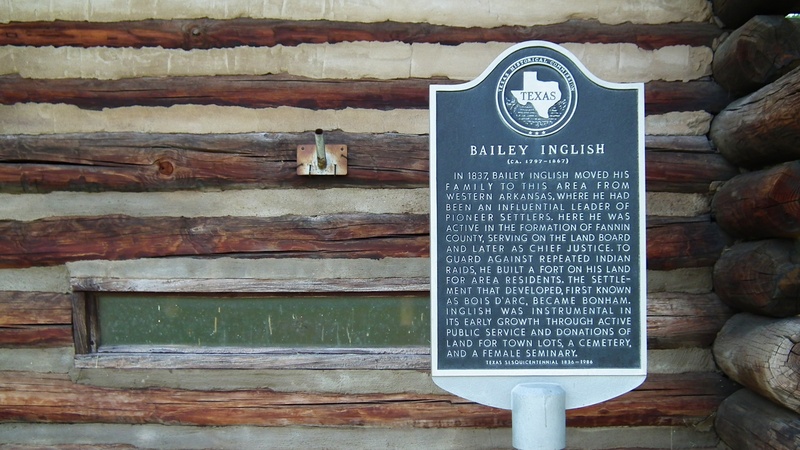 Historical marker for Bailey Inglish on the site of a replica of his stockade fort, Bonham, Texas. Post 1 in a series on Dallas history. For many centuries a river has flowed from northwest to southeast across what is now Texas, across the prairie, down through the piney woods, into a wide bay and out to the sea. Spanish explorers called it el Rio de la Santísima Trinidad, “the River of the Most Holy Trinity.” We call it the Trinity River today. This photograph shows the present-day confluence of the Elm Fork of the Trinity (top) and the West Fork of the Trinity (left) flowing into the main body of the river (right). Welcome to Campbell’s Rambles. This is basically my blog for everything but religious stuff, so: Texas history, local history, folk music, guitars, rock and roll, fig trees, grapevines, urban life, etc.